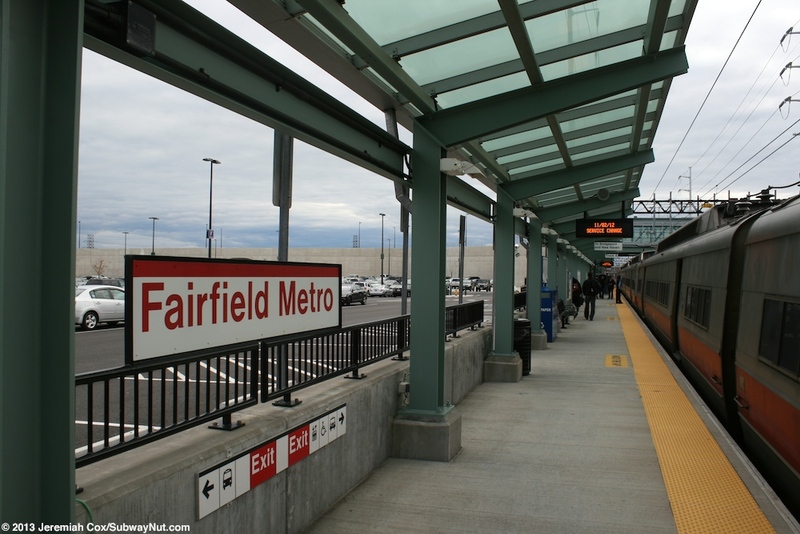 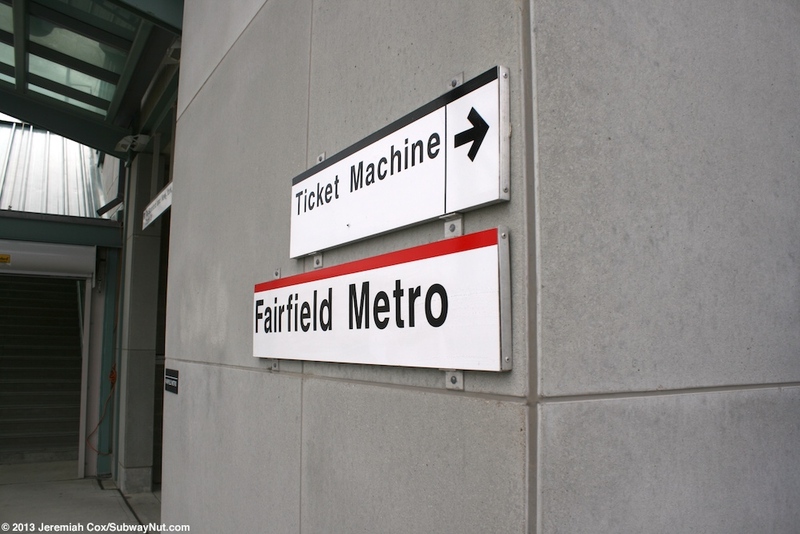 Fairfield Metro is a new station on the New Haven Line that opened on December 5, 2011 to provide additional parking spaces and a new development called Metro Center. 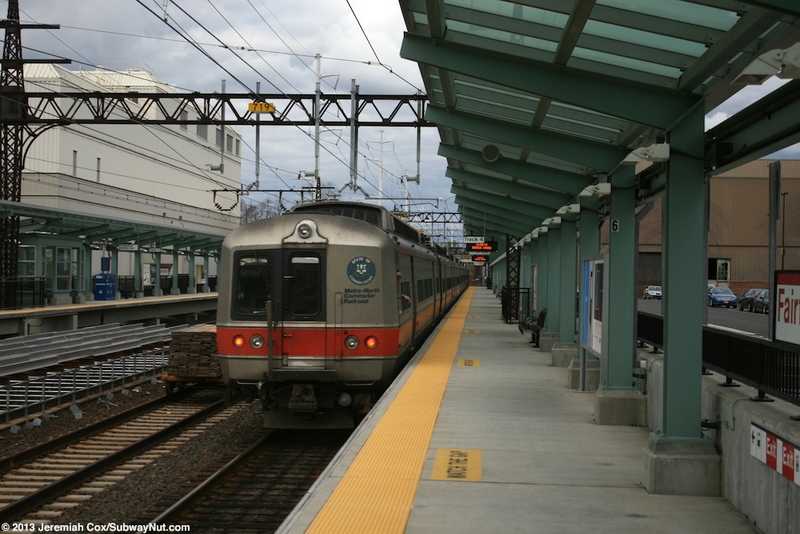 The station is located in the Black Rock neighborhood of Fairfield and many local residents (and Metro-North conductors announcing the wrong stop name when it opened) wish this was the name of the station. 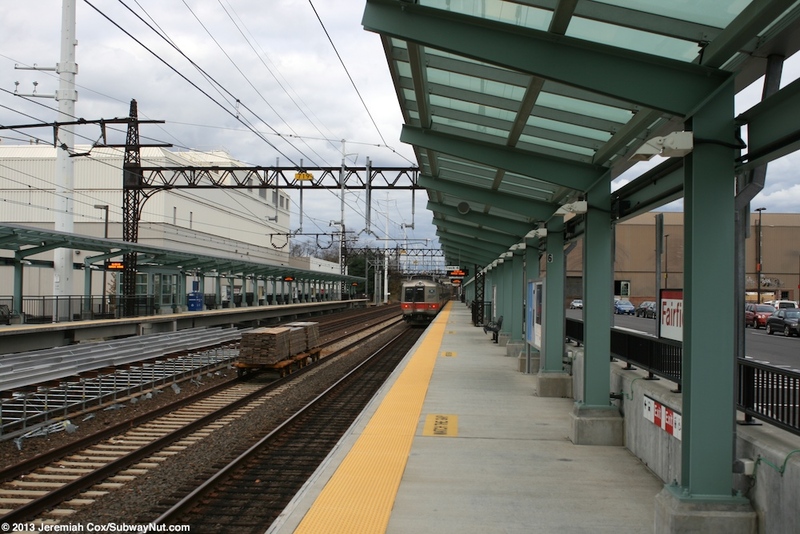 The station has two long ten-car side platforms along the four-track line. 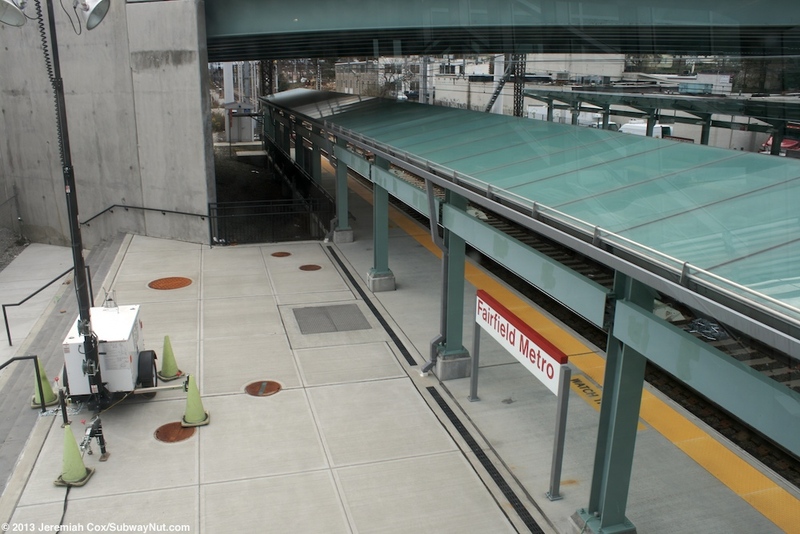 These platforms each have a modern glass canopy tinted a frosted turquoise color held up my turquoise supports over the entire length of the platforms. 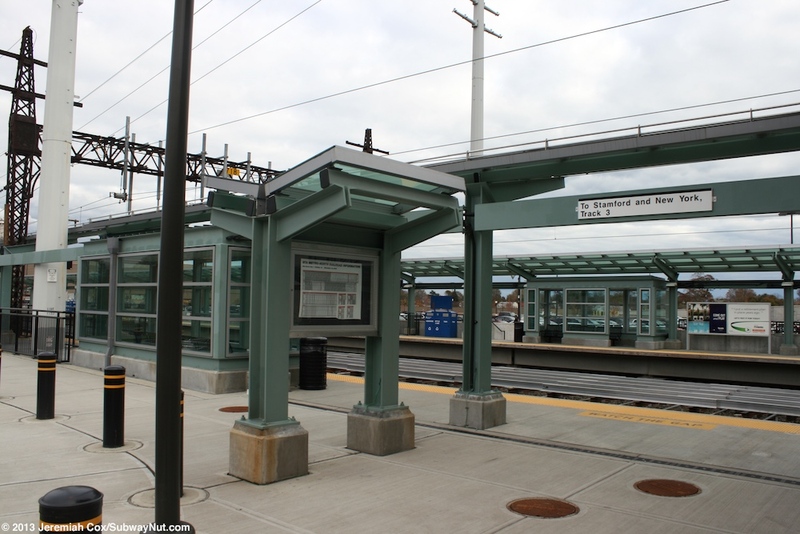 The canopy has some gaps in the roof (but the structure continues) around the tall and still original to electrification triangular cross-section towers that hold up the canopy structure. 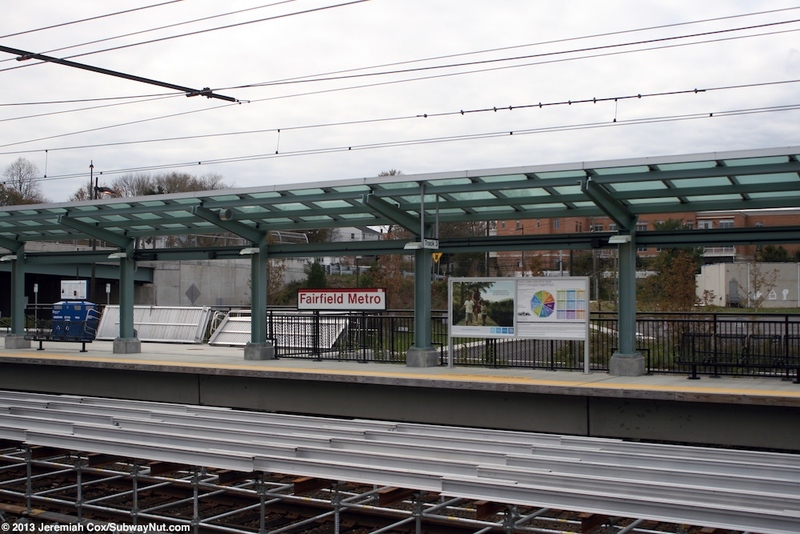 Under the canopy on each platform are small waiting shelters that lack doors to enclose them but just an additional piece of glass in front of the bench and a lower roof in the same style as the canopy. 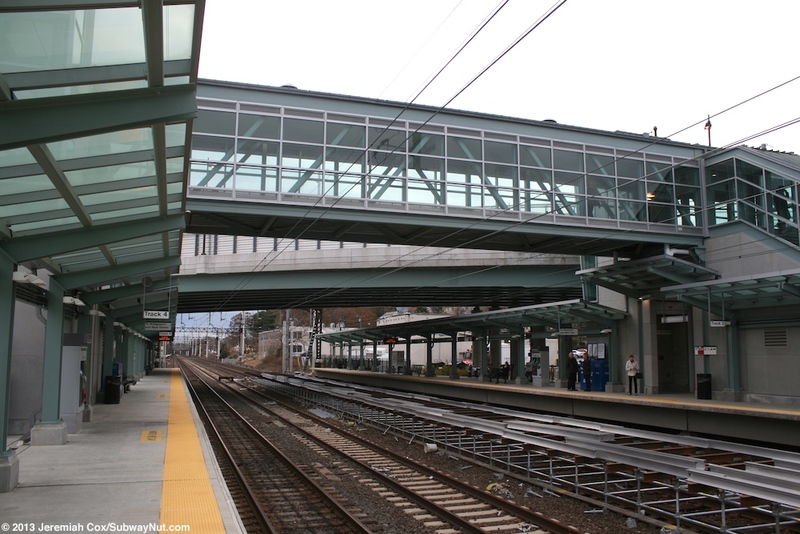 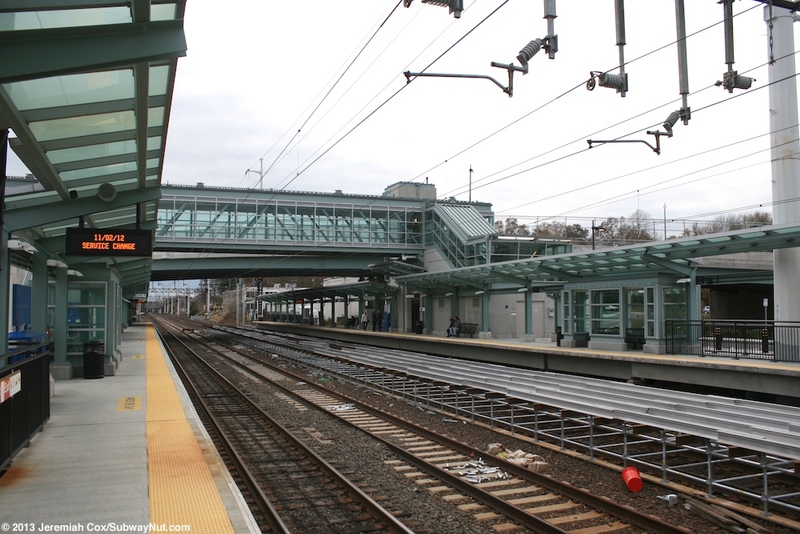 At the southwestern end of the platforms is the overpass of Ash Creek Blvd that makes a windy loop to around the 1,500 space commuter parking lot along the New Haven-bound platform providing all access at the opposite side of the lot. 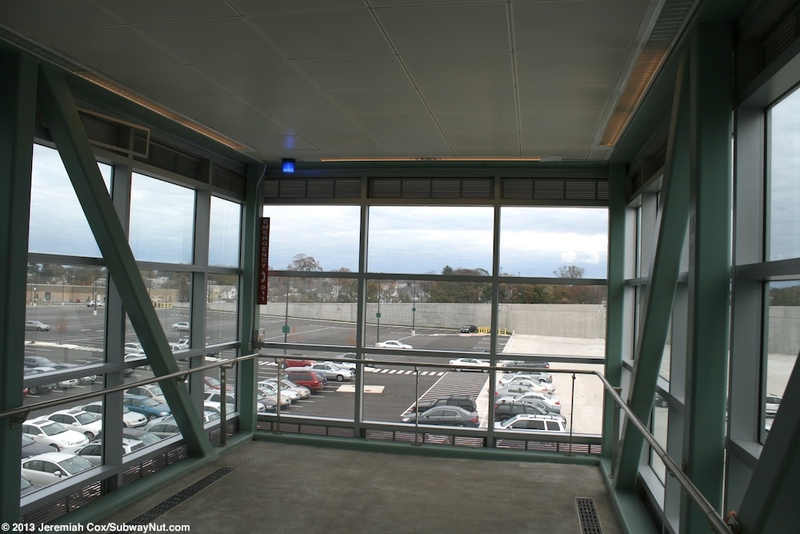 The modern station parking lot is quite well designed although the elevation barriers a bit. 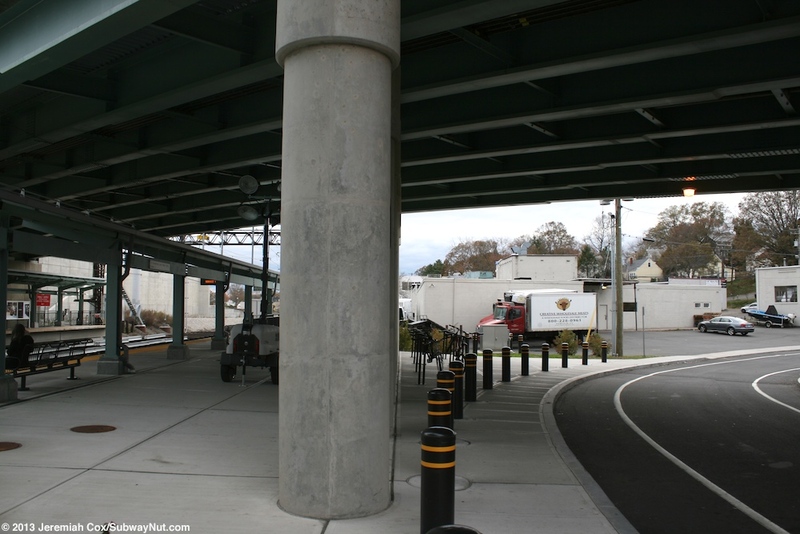 At some places it is at the same level as the high-level platforms with just some bollards keeping cars off by the ADA spaces. 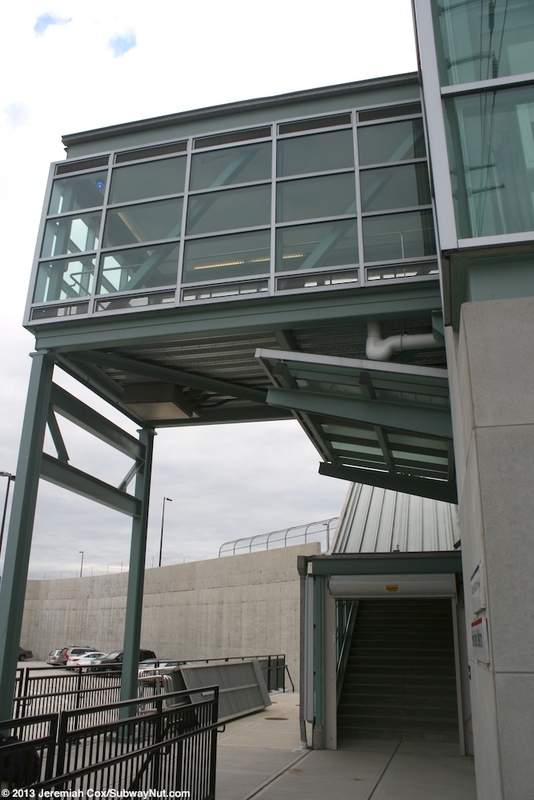 Other places have a few steps up to the platform (that has a nearly continuous low-concrete wall with a fence on top of it to restrict entry). 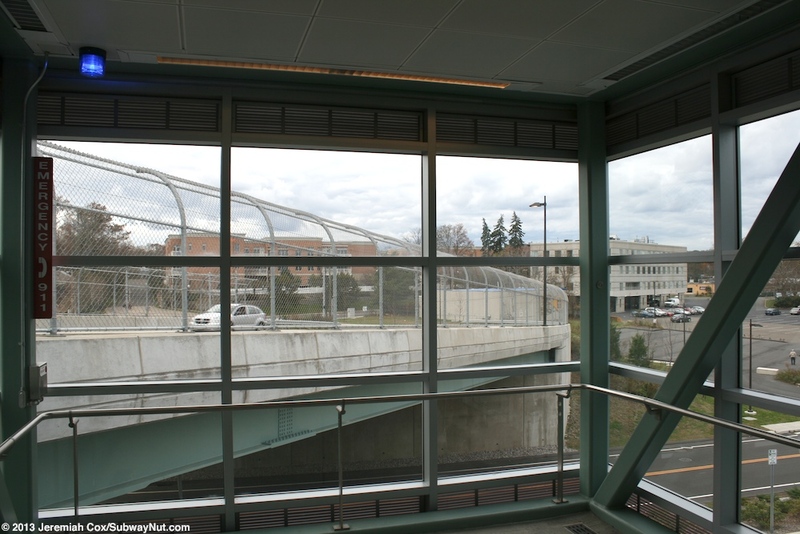 Also towards the southwestern end of the platforms, just north of the Ash Creek Blvd overpass bridge is the station's enclosed glass overpass. 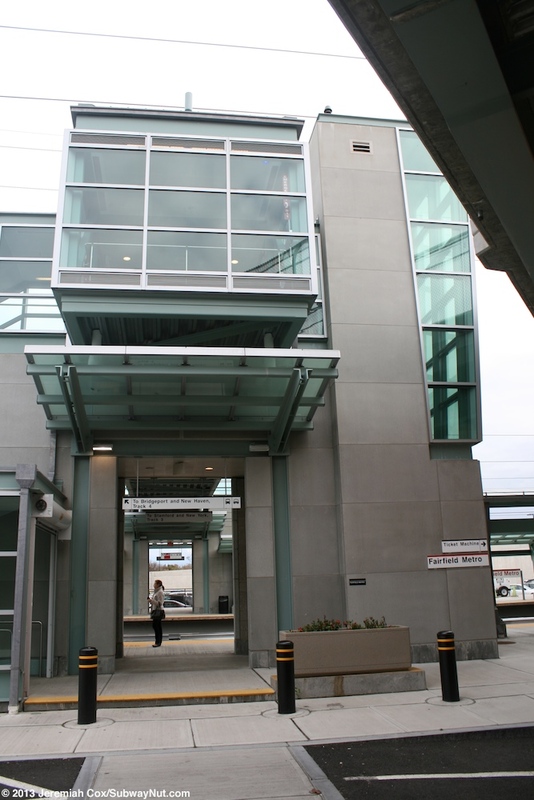 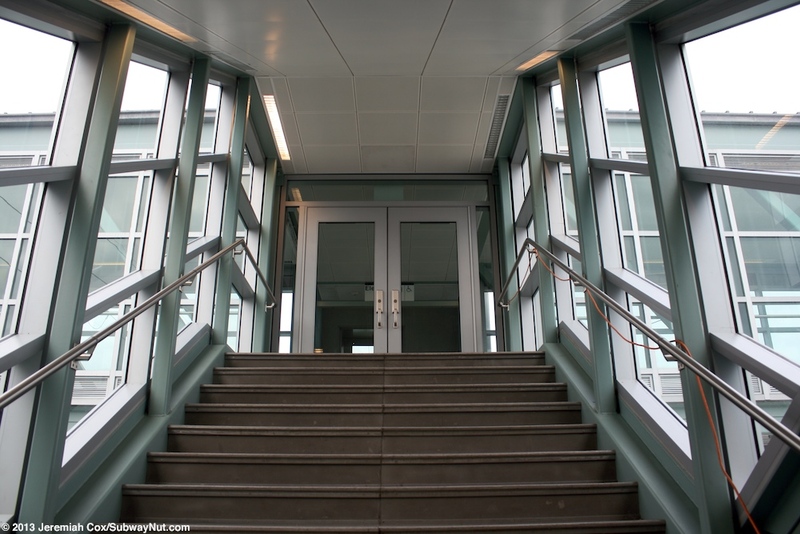 This structure has the same color turquoise and concrete framework around the stairs and elevator that lead up to the overpass level. 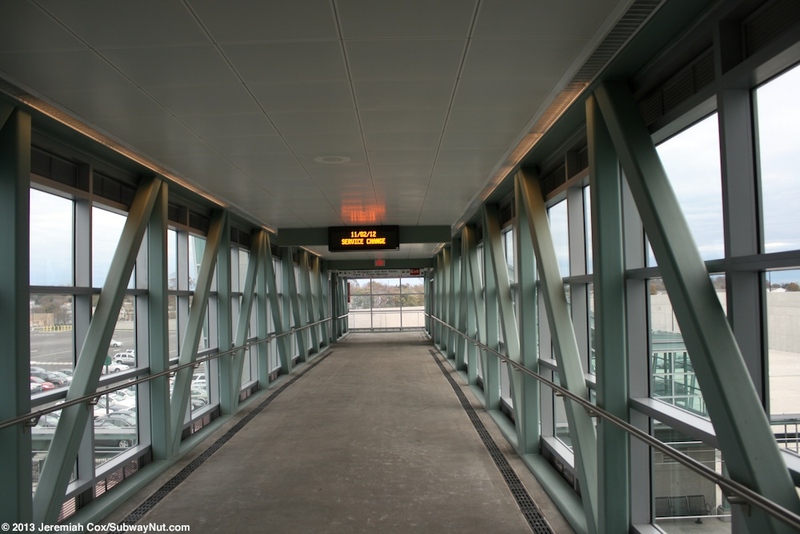 All public areas have plenty of glass although the actual supporting structures are made of concrete. 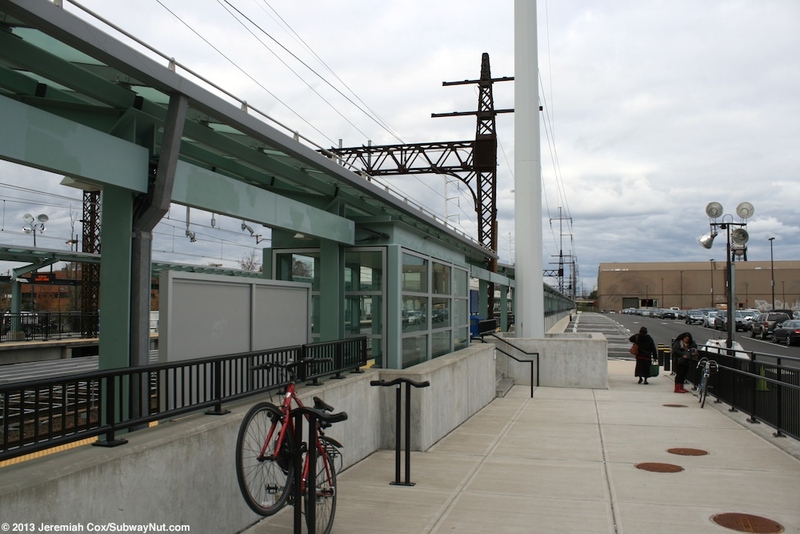 The New York-bound side of the station has an additional an additional drop-off loop and area near the overpass just off of Constant Comment Way. 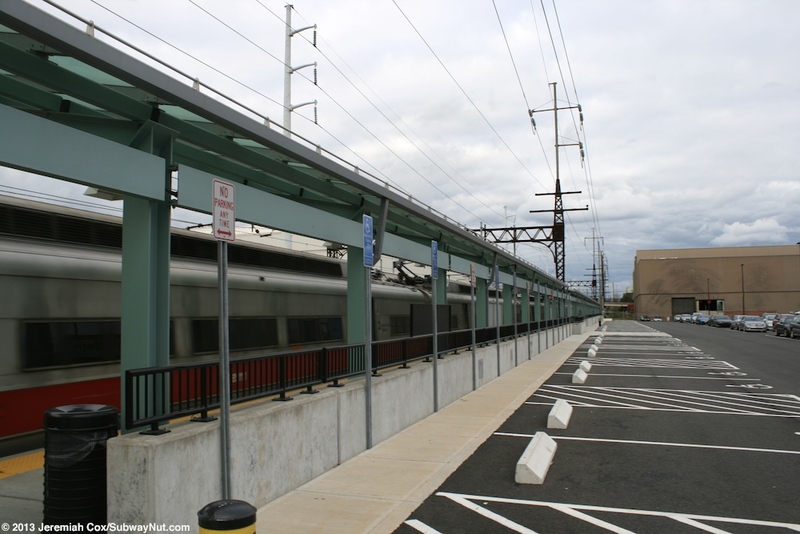 The northeastern end of the platform has a private parking lot along it and a staircase down to this parking lot that is an emergency exit. 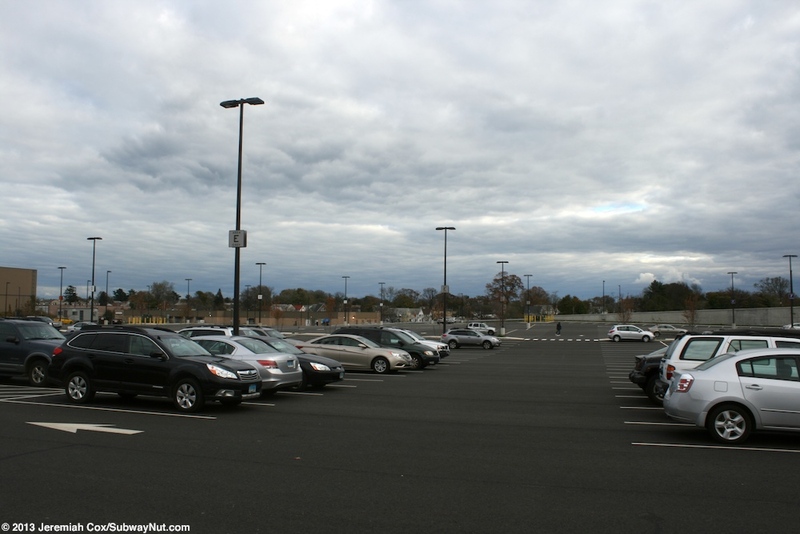 This is the parking lot for a building along the tracks that is the headquarters of Bigelow Tea. 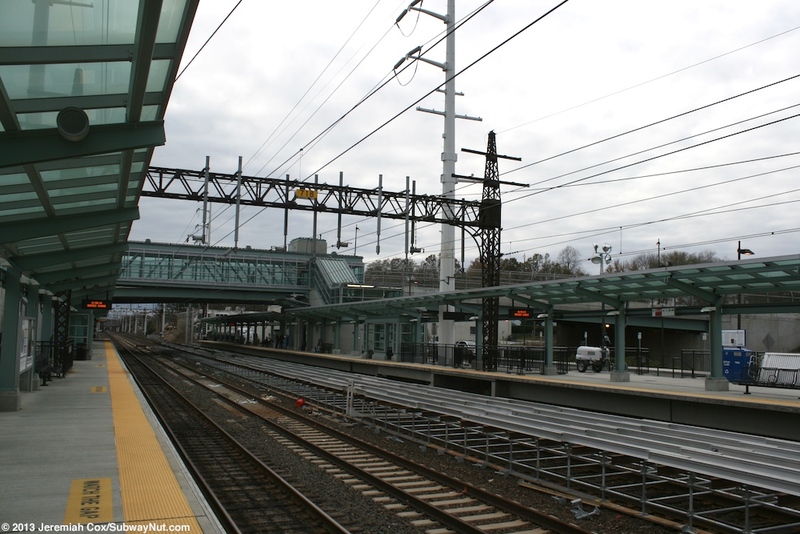 Black Rock Turnpike crosses above the tracks a short ways beyond the northeastern end of the station.